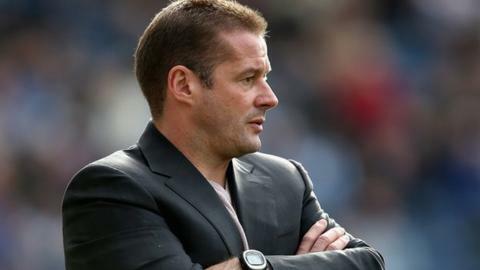 Peter Ridsdale has admitted that Preston manager Graham Westley is under pressure, but believes he is the man to end their recent disappointing run. North End have slipped to 17th in League One and have not won a league game at home since 29 September. "His job is to fix it. I expect him to fix it," Ridsdale, who is employed as an advisor by the club's owner Trevor Hemmings, told BBC Radio Lancashire. Speaking after the on Saturday, the former Stevenage boss said: "I've always built winning teams and I've got no doubt I'll go on to build a winning team here. But I understand everybody's frustration about the results we're getting." Ridsdale continued: "If you're not winning football matches, everybody's under pressure. Is there pressure to start winning? Of course there is. "Football is all about winning and we're not at the moment. "Is everybody at the club under pressure? Yes they are. Does that include the manager? Of course it does. "He knows, like we all know, that our supporters want to see us win. The pressure's there, but to some extent it's coming from ourselves. "The last thing I want to do is spend my Saturday afternoons watching losing football. It's not what I'm used to and it's not what I want to do. My knowledge is that the manager feels exactly the same way." An extended interview with Peter Ridsdale will be broadcast on BBC Radio Lancashire from 18:00 GMT on Wednesday, 6 February and online via the BBC iPlayer for the subsequent seven days.